Of course the co-creators of Weasleys' Wizard Wheezes were born on April first! Does this even need explanation? If only Ron had known this when he was a prefect! Maybe he would have been seen as more of an authority figure. Both Dean and his mother never found out. Sad. Sorry, Hagrid, but Norbert(a) could have never really been yours. Or maybe he (later disclosed to be a "she" after being in Charlie Weasley's care) could have, but it definitely would not have have been safe or appropriate for school grounds. While the numbers seem a bit fishy here, it is hard to argue with J.K. Rowling herself who gave this figure to Scholastic.com in an interview back in 2000. This is why Harry couldn't see Thestrals until after Cedric Diggory's death. When he saw Voldermort murder his mother, he wasn't able to emotionally understand her death. Naturally the exchange rate varies from year to year, but that’s a pretty close estimate. I guess it makes sense that Muggle-borns would need to exchange their cash for Wizard money when venturing onto Diagon Alley. I’m not entirely sure how exactly they do this, but they’re goblins! I’m sure they have their ways. This is something that I just assumed, but I do find it a bit confusing. Do they live together in the castle? Do their spouses have other jobs? If apparating and the Floo networks are out of the question, how would they commute to work? Maybe this contributed to Sybil Trelawney's failed marriage. I have a hard time believing it was only the name Higglebottom that set her off. Rowling made the statement last year that Trelawney was in the Ravenclaw House, but it's been known for a while now that Hagrid was, like Harry, Ron, and Hermione, a Gryffindor. Does Hagrid get a wife? You think anyone would want to live with a man who breeds Blast-Ended Skrewts? She makes a decent point. 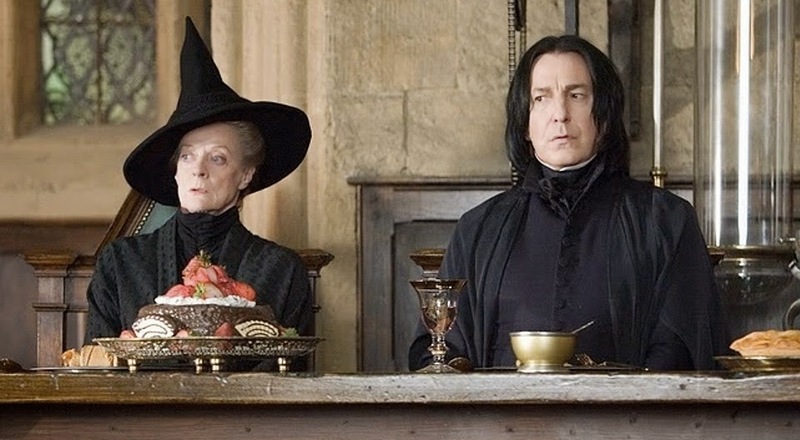 The character of Professor Snape fascinates me. Will you reveal his backstory further in the next Harry Potter book? You will find out more about Snape in future books. Keep an eye on him! And boy, she did not disappoint! I just love remembering reading these books as they were coming out. Being able to live and grow with these stories was such a treat. I'm also glad that J.K. Rowling has been so willing to share more about Harry Potter's world throughout the years. From new short stories, to answering questions on Twitter, she's always been highly devoted to her loyal fanbase!